Cambridge University Press, 9780521803182, 334pp. Tooze provides an interpretation of the period of dramatic statistical innovation between 1900 and 1945. The Weimar Republic and the Third Reich were in the forefront of statistical innovation in the interwar decades. New ways of measuring the economy were inspired both by contemporary developments in macroeconomic theory and the needs of government. Under the Nazi regime, these statistical tools provided the basis for a radical experiment in economic planning. 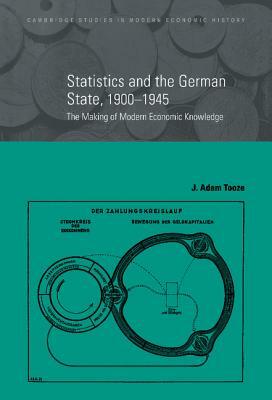 Based on the German example, Tooze argues for a more wide-ranging reconsideration of the history of modern economic knowledge.